Fear Free: We had Colleen,one of our Certified Veterinary Technicians, become credentialed in Fear Free™ handling of pets. She has brought many of their methods back to BLVD where it has become a core way of how we interact with pets. Fear Free’s mission is to prevent and alleviate fear, anxiety, and stress in pets by inspiring and educating the people who care for them. This is important to us as we want your pets to have a great experience when they come to us! BLVD Babies: Two of our colleagues: Charlene, CVT, and Dr. Geisler gave birth to healthy little girls this fall. Charlene is already back in the office and we are looking forward to having Dr. Geisler rejoin us this January. We will have regular availability for Dr. Geisler’s Chiropractic and Acupuncture patients as soon as she’s back! Dr. Josie Arbogast: In August, our newest DVM, Dr. Arbogast joined us. 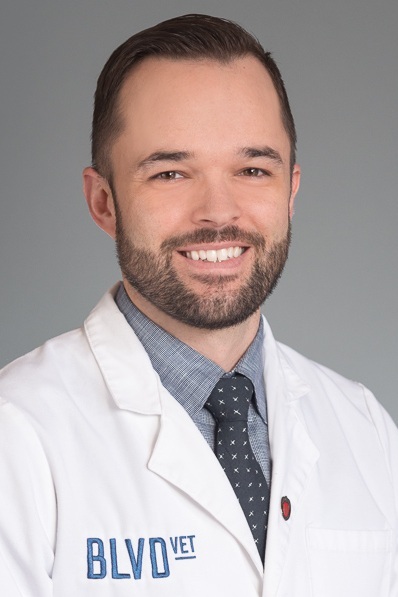 It has been an absolute pleasure working with Dr. Arbogast. Her enthusiasm, can-do attitude and great bedside manner have been an incredible addition to the BLVD DVM group. Plus, she’s a natural on social media, so look for more of Dr. Arbogast’s “BLVD Pointers” in 2019 on our Instagram and Facebook feeds. If you have any questions or topics you would like covered, please submit them here! AAHA Re-Accreditation at BLVD Vet Logan Square: The American Animal Hospital Association requires regular inspections in order to maintain our accredited status. This December we passed our 2nd evaluation since 2016 with flying colors! Our scores were even higher, which makes us so proud as we believe in always looking for ways to improve all aspects of our practice. To read more about AAHA Accreditation, click here. 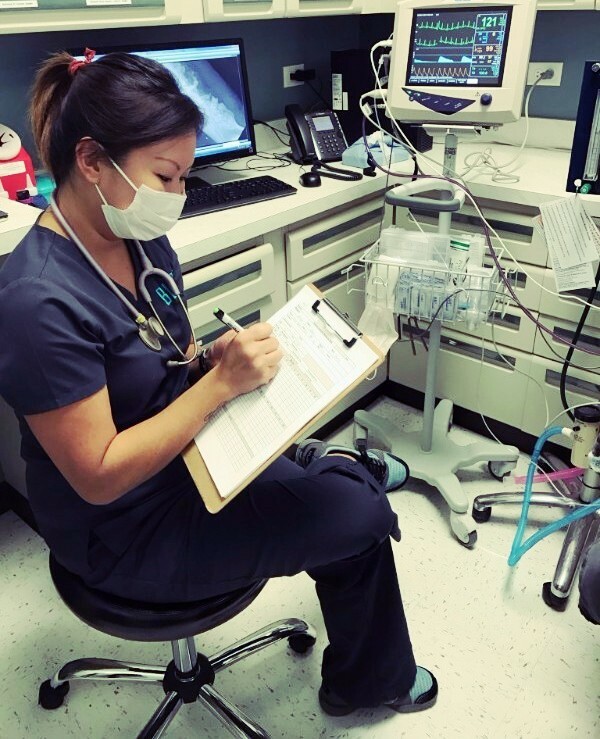 Much of my time this past year has been spent identifying and hiring veterinarians who are exceptionally talented and excel in both patient and client care. I’m pleased to say that our veterinarians Dr. Geisler, Dr. Williams, Dr. Cordes and Dr. Arbogast have even more positive online reviews than I do so my expectation is that every pet will continue to receive an exceptional level of care regardless of whom they see. I plan to continue to have regular but reduced clinical hours going forward, but please know you can always ask for me. 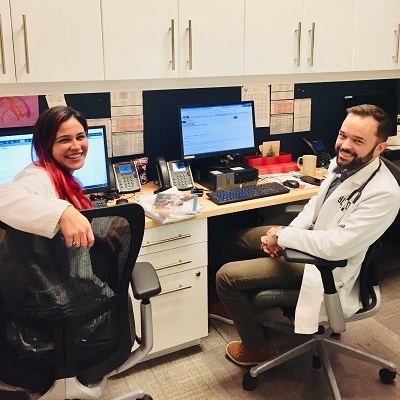 Dr. Cordes and Dr. Dylan in the office. These came from a collaborative effort of our staff, managers, as well as Kelly and myself. I found that it was more a process of identifying what our intrinsic values already were and putting them into words, rather than simply creating a list of aspirations. Your feedback was another important consideration in establishing these values, your emails and reviews have consistently helped direct us in what we’re doing well and what we can do better. 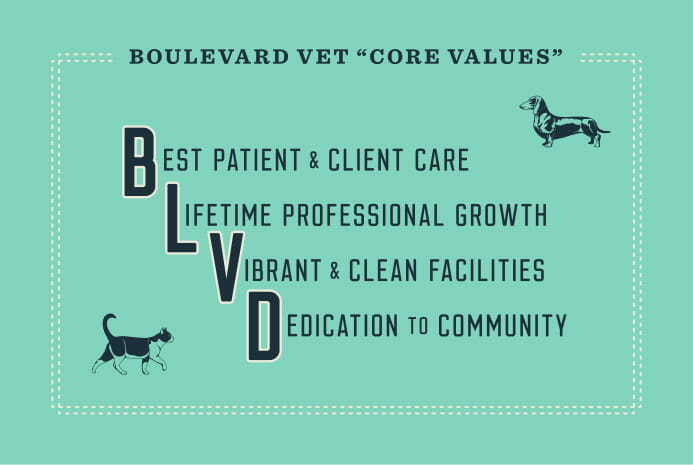 There are lots of exciting things in store for 2019 at BLVD Vet. As always, thank you for your patronage and support! 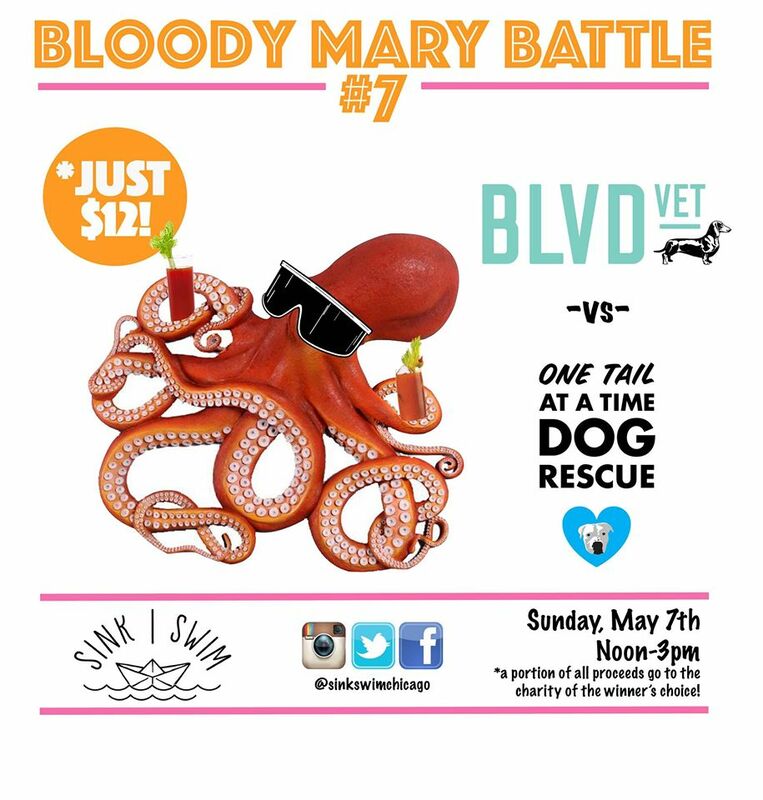 It's been an eventful summer at BLVD and now that it's winding down we have a couple exciting announcements!